N-Methyl-D-Aspartate receptors (NMDAR) are one of the key players in basic and complex excitatory neurotransmission. Seven subunits of NMDAR have been identified: GluN1, GluN2A-D and GluN3A-B1. Assembled as a tetramer1, they consist of two NR1 subunits and either two NR2 subunits or a combination of NR2 and NR3 subunits. 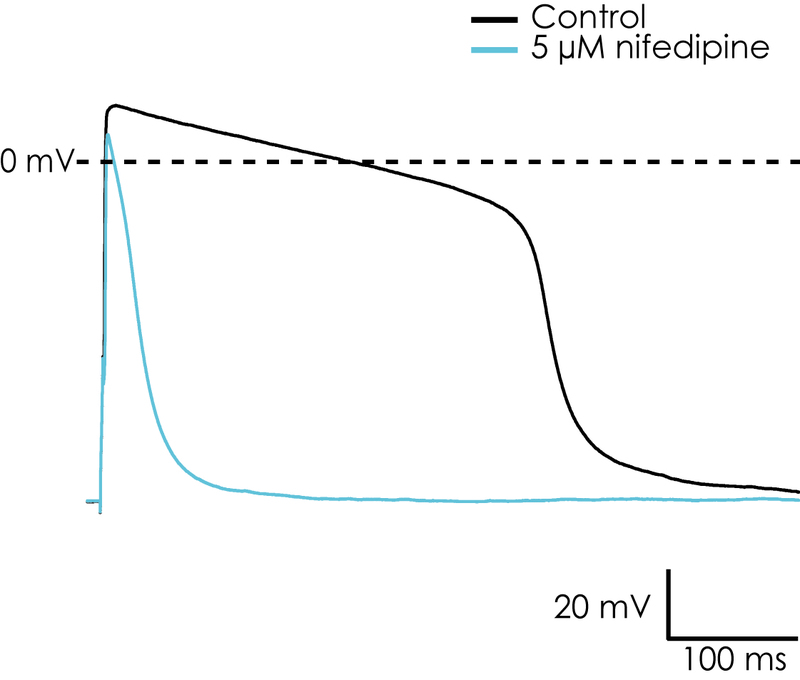 Unique properties of NMDAR are the activation of the channel by simultaneous binding of glutamate and glycine, a voltage-dependent block by magnesium ions, a relatively slow current kinetic and a predominantly calcium carried conductance. The exceptional calcium entry through open NMDARs triggers on the one hand a number of regulatory processes important in development and synaptic plasticity processes of learning and memory. On the other hand NMDARs are proposed to play a pathophysiological role in a number of neurological disorders such as epilepsy and Alzheimer’s. Given the importance in the treatment of such neurological diseases, it is of great interest developing clinically relevant NMDAR antagonists that would block excitotoxic NMDAR activation, without interfering with NMDAR function needed for normal synaptic transmission and plasticity. 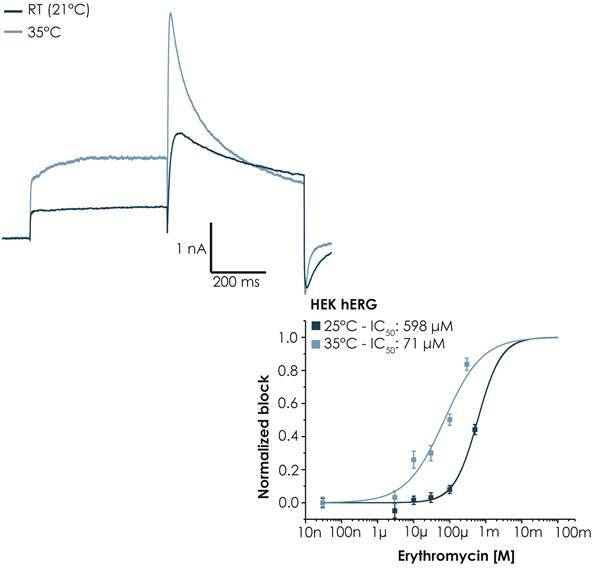 This study focuses on the basic biophysical properties of different NMDAR subtypes and the pharmacological relevance of modulation of NMDARs. 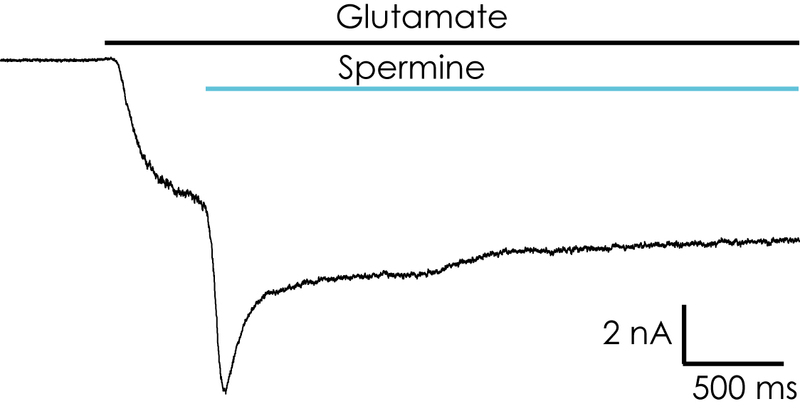 Among others, we show activation kinetics of GluN2A, GluN2B, GluN2C and GluN2D subunit containing NMDARs. 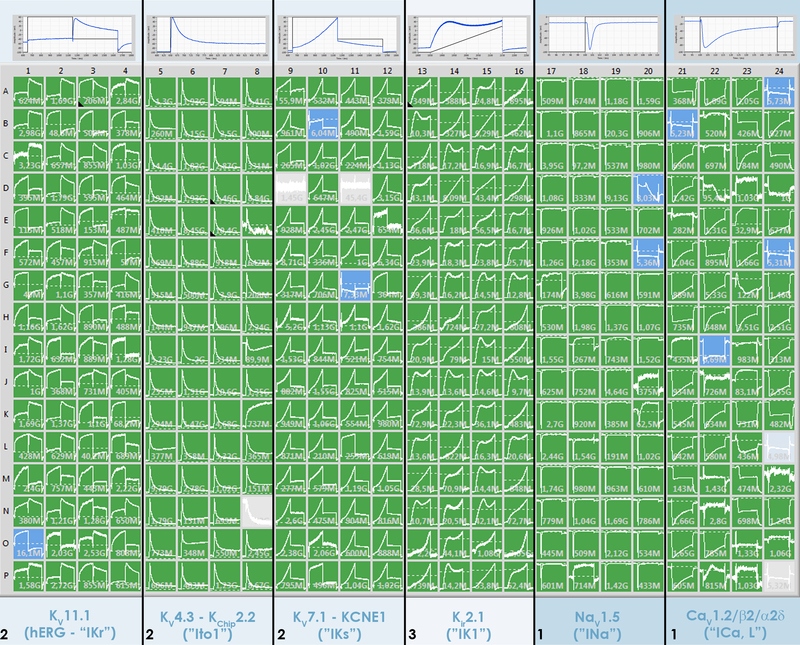 Moreover, we present data from the target screen of the positive allosteric modulator CIQ and blockers which were recorded with high throughput. 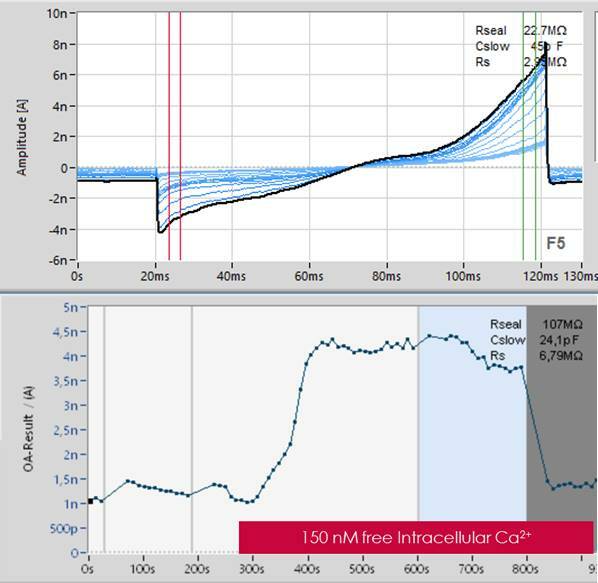 All experiments were performed on the SyncroPatch384PE, the only APC device, which is able to stack the solutions inside a pipette and rapidly apply it to the cell, allowing for brief and accurate solution exchange (<10ms) and exposure times (<200ms). NMDAR expressing cell lines were kindly provided by Chantest.